Halloween has two sides to it just like the story of Jekyll & Hyde. 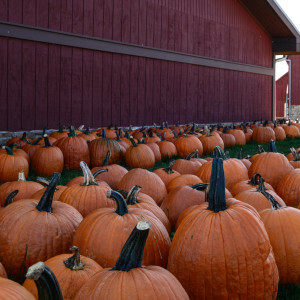 Like Jekyll, Loudoun offers fun Halloween treats like spending time with family and friends picking pumpkins, taking hayrides and getting lost in corn mazes. Hyde, on the other hand, is full of tricks in haunted houses, spooky forests and frightful nightmares. So, which side will you choose in Loudoun for Halloween this year? We have your weekend guide to both. Pumpkinville Fall Fest: Celebrate Fall at Pumpkinville with theLeesburg Animal Park! Family friendly activities include giant hill slides, kid’s maze, rope swings, pedal carts, moon bounces, petting zoo and more. Enjoy free apples & fresh cider and pumpkin pie to take home for dessert. Temple Hall Corn Maize & Fall Festival: Want to launch a pumpkin 100 yards through the air? Then Temple Hall Farm Regional Park has the perfect toy for you – Pumpkin Blasters. Take aim at the targets and blast away! Or, see how far you fire one across the field before watching a pig race. 23rd Annual Fall Harvest Festival: Come celebrate the fall with Great Country Farms and create an unforgettable experience! Pick pumpkins, cheer on the fastest piggie, do some pumpkin munchin’ with P-Rex, get lost in the corn maze and have your little princess meet the pumpkin princess. And, don’t forget those freshly made Cider Donuts! Shocktober: The Haunted Well of Souls : Over 100 years ago Jedidiah Carver was found guilty of unorthodox acts of animal husbandry. For these crimes, his lands were seized and he and his family were cast out of the Town of Leesburg. 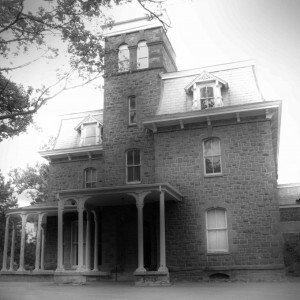 Homeless, he moved his family to the caverns that lie beneath Paxton Manor. Here they dwelled for many years. Things went well for The Carver family and they thrived and multiplied. Though as time went on things began to go wrong. Do you have what it takes to walk through his house? Small Medium at Large: Murder Mystery Dinner: Renowned medium Clara Voyant will hold an invitation only demonstration of her mystical skills. However, tonight will be unlike any other. She’s caught between the living, the dead – and the police – as she struggles to maintain her reputation. Clara needs your help to identify and stop a serial killer before she joins the dead herself. Join her Friday at 1757 Golf Club or Saturday at Salamander Resort & Spa.